Fifty people were killed and 50 others were wounded in the attack, New Zealand Police Commissioner Mike Bush announced Sunday. In connection with the shootings, Brenton Harrison Tarrant was charged with one count of murder in a Christchurch court on Saturday. Tarrant was remanded in custody to reappear in court on April 5, with officials saying he would face more charges. Shortly before the shooting began, an 87-page manifesto was posted on social media under the name of Brenton Tarrant. The document was riddled with sarcasm, apparent red herrings and allusions to online meme culture, suggesting an internet-driven evolution of nationalist hatred. To residents of his former hometown, Tarrant, 28, seemed a “relatively normal” person. He used to work at the Big River Squash & Fitness Centre in the northern New South Wales town of Grafton. Gym manager Tracey Gray, who employed Tarrant for several years in the late 2000s, told CNN affiliate Nine News that she was shocked by his alleged role in the attacks. Gray wondered whether Tarrant might have been radicalized during a trip to Europe and Asia in the early 2010s. “I can’t believe that somebody I’ve probably had daily dealings with … would be capable of something to this extreme,” Gray added. Tarrant had traveled to Turkey multiple times and “spent an extended period of time in the country,” a senior Turkish official told CNN on Saturday. “All I remember was that he was a fan of local food. He would leave the hotel in the morning and would come back in the evenings,” he said. Tarrant’s father, Rodney Tarrant, died of cancer at age 49 in April 2010, according to an obituary The Daily Examiner in Grafton. He was described as a “dedicated family man” and “competitive athlete.” According to the obituary, Tarrant’s father separated from his mother when he was young. Tarrant’s family is currently “assisting and cooperating” with investigations from Grafton, nearly 400 miles north of Sydney, local police told CNN. 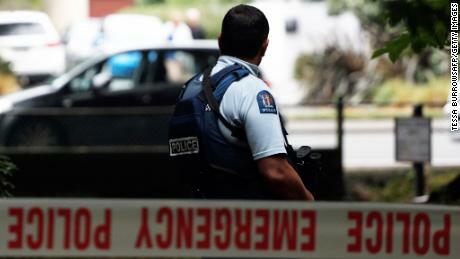 Christchurch Mayor Lianne Dalziel said the suspect targeted New Zealand for its reputation for being a safe space. The shooter used five guns, including two semi-automatic weapons and two shotguns — weapons that were legally acquired, Ardern said. The Prime Minister said the shooter had a “Category A” firearm license, obtained in November 2017. According to police, a standard firearms license allows the holder to obtain any number of sporting rifles and shotguns. Authorities said that at least one of the guns used in the shootings appeared to have been modified. New Zealand Prime Minister Jacinda Ardern has vowed to amend the country’s gun laws — considered relatively relaxed compared to most western nations outside of the United States — in response to the attack. CNN’s Ben Westcott, Jenni Marsh, Tara Mulholland and Sophia Saifi contributed to this report.